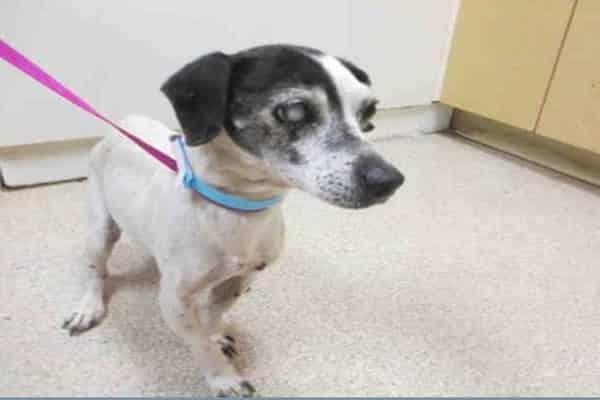 Nobody is going to walk in and adopt a 14 years old blind dog! NOBODY IS GOING TO WALK IN AND ADOPT A 14YR OLD BLIND DOG! No way this dog could have been a stray...I don't think he can even see! 14 years old and in high kill Riverside. Shared this baby he is consider as an old man poor littler sr he is half blind. please consider taking him home and tread him and love him very tenderly please. can you posible think that anyone have the hart to put hem to sleep. please he is helpless. When you call his id. is a1393158 please i wander if you have room in your house or in your hart. if you have both hurry up and save this baby. I am a male, white and black Chihuahua - Smooth Coated. I have been at the shelter since Sep 19, 2017. If I am not claimed, after my stray holding period, I may be available for adoption on 09/23/2017. 0 Response to "Nobody is going to walk in and adopt a 14 years old blind dog!"